the history of our country for 105 years. 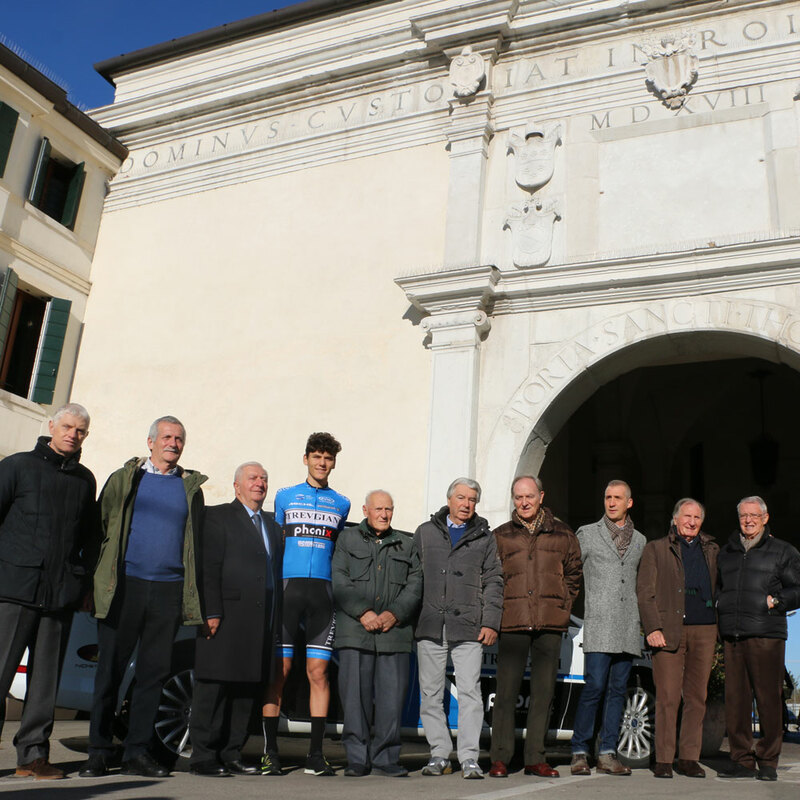 The race of one of the oldest sports clubs in Italy continues between cycling tradition and novelty. With over 500 wins, including two world championships thanks to Francesco Chicchi (Zolder 2002, under 23 road) and Enrico Franzoi (Monopoli 2003, under 23 cyclocross) and three Giro d'Italia conquered by Roberto Sgambelluri (1996), Raffaele Ferrara (2000) and Mattia Cattaneo (2011) marked the career and life of many sport men. Everything started on a cold Sunday in December at the start of a Cycle Camp in Castelfranco Veneto when Lazzaro Bortoletto, Giovanni Garatti and Francesco Zanchetta presented themselves unlicensed at departure. «Which company do you represent?» was asked by the organizers. «Trevigian Cyclists Union» Zanchetta answered. They wore a black shirt, with U.C.T. written on the front. More than a century has passed since this episode, during which UC Trevigiani became a symbol, receiving by CONI the highest recognitions that a sport company can aspire to: the Golden Star in 1967 and the Golden Collar in 2014. Currently it’s a Continental international team, that aims at the growth of young talents, to prepare them for the great jump in the World Tour professional cycling. During 2019-2020 it’s the second name of Sangemini Trevigiani Mg.Kvis Team chaired by Demetrio Iommi and directed by Angelo Baldini. ”UC Trevigiani has become a a symbol of Italian sport, receiving by CONI the highest recognitions that a team can aspire to: the Golden Star in 1967 and the Golden Collar in 2014.